Should people be allowed to concealed carry in church? In 48 states, the law says you can carry concealed in churches and places of worship. But what do the churches have to say about it? 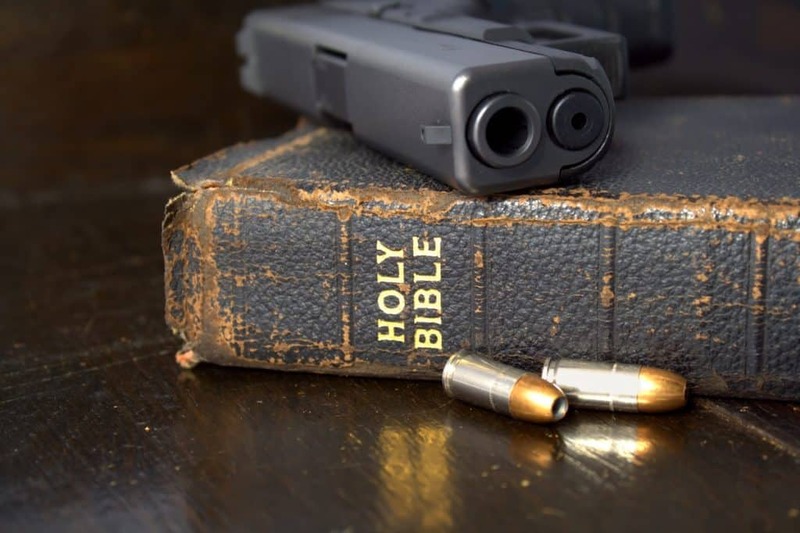 What does the Bible, the world’s most read religious text, have to say about concealed carry in church? What does the world’s leading religious text have to say about it? The Bible says yes. In this article, I’ll be using “church” as a generic term for a house of worship. Across the nation, only Louisiana and Nebraska outright prohibit carrying into a church. Not long ago Georgia did too, but the Legislature changed the law to allow carrying a firearm in a church with permission of the pastor and concealed carry permit. North Dakota, Missouri, Arkansas, Michigan, Ohio, South Carolina and the District of Columbia also allow concealed carry in churches with the pastor’s permission and a permit. All other states allow it. What do the nation’s major religions have to say about it? “The official church policy as per 21.2.4 of the administration of church buildings handbook is that guns and other weapons are considered ‘inappropriate’ inside a place of worship. However, the leadership of the church doesn’t forbid either concealed carry or open carry. This means that people who are licensed and trained can indeed carry in church and on church grounds,” said Robert MacLeod, a member of the LDS church in Virginia. Getting a unified opinion on CCW in Christian churches is impossible. The denominations are too broad and have no central authority in most cases. Here’s a ruling from a few of the major denominations with a central authority. The Catholic Church does not have an official opinion on firearms in churches. “The views of individual U.S. bishops on guns appear to be mixed. That is virtually guaranteed by the fact there are more than 400 active and retired Catholic bishops in America, and unanimity among them on a public policy question that divides the American public is not to be expected,” writes Jimmy Akin for Catholic.com. It is up to each church to allow concealed carry in church or not. The decision is left to each church. The Jewish faith is as fractured as Christianity when it comes to groups. So, a universal opinion is impossible. Some groups favor tighter gun control while other groups oppose more gun control. Allowing concealed carry into a synagogue or not is therefore left to the congregational leader or the overseeing board for that denomination. Much like Christianity, the religion of Islam is splintered into groups. To get a unified opinion is therefore impossible. Here’s one view. So should people be allowed to CCW in church? The liberal Chicago Tribune attempted to say it should not be allowed in this article. A close read shows otherwise. “Shepard [Mary Shepard, a party to a lawsuit that struck down an Illinois law preventing CCW] was well-trained in the use of firearms. Had she been allowed to carry a handgun with her to church, she told me, she could have at least had a chance to defend herself,” the columnist writes. Ms. Shepard was brutally attacked in her church. Mr. MacLeod’s personal opinion is also yes, but he qualifies it. “I am a strong supporter of the 1st Amendment and an avid lover of things that go bang. I fully support anyone’s right and will to carry the weapon of their choice. However, I also believe that 90% of all of these carriers would be more hindrance than help in any live fire situation. People love to imagine themselves to be a combination of Rambo, Chuck Norris and John Wayne, going in guns blazing to save the day. In reality, most of them would be cringing behind the pews wetting themselves. The few that actually tried to take action would be firing blindly and probably wound as many people as the shooter,” he added. Given the state of the world today, it is foolish not to allow church members to carry. More and more churches are reaching out to CCW permit members to discuss active shooter situations, as Mr. Wilkes’ church has done. “When our enemies heard that we knew their scheme and that God had frustrated it, every one of us returned to his own work on the wall. From that day on, half of my men did the work while the other half held spears, shields, bows, and armor. The officers supported all the people of Judah, who were rebuilding the wall. The laborers who carried the loads worked with one hand and held a weapon with the other.” Nehemiah 4:15-17 HCSB. Jesus even told his followers to swap a spare coat for a sword. Ben Baker is a newspaper publisher and syndicated columnist in South Georgia. His favorite guns are his .45-70 Marlin, .50 BMG State Arms and the Stevens double-barrel 16 gauge that belonged to his dad. His CCW is a .38 snubbie.